Since 1998, technical cooperation between ASEAN and SEAFDEC towards sustainable fisheries development has been initiated under the regional ASEAN-SEAFDEC Fisheries Consultative Group Mechanism (FCG) framework; and the promotion of sustainable fisheries development through this mechanism is well accredited within the ASEAN. To assure that the efforts of ASEAN and SEAFDEC in tackling a number of challenges that have impacts on the development and management of the fisheries sector are sustained, and in support of various activities for the benefit of member countries, the ASEAN-SEAFDEC Strategic Partnership (ASSP) was formalized in November 2007 in Bangkok, Thailand. 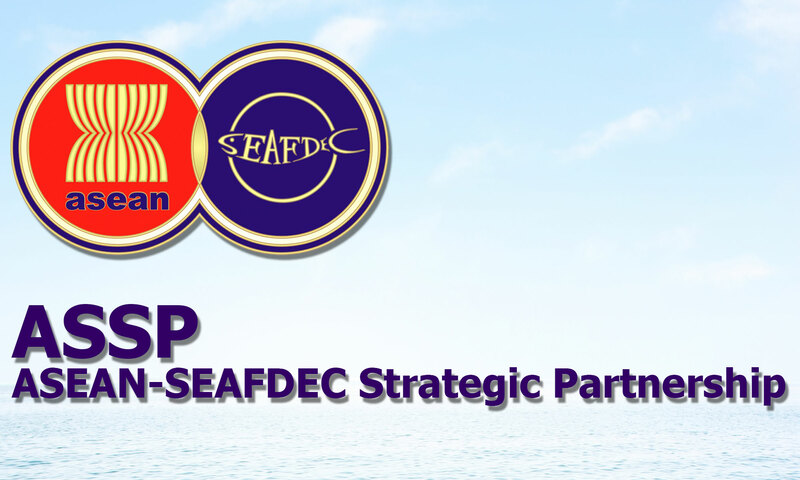 ASSP is envisaged to enhance closer cooperation between ASEAN and SEAFDEC and its member countries, paving the new phase for ASEAN-SEAFDEC collaboration in achieving long term common goals towards collective regional development and management of sustainable fisheries. Work with ASEAN/ASWGFi to help ASEAN formulate and establish an ASEAN Regional Fisheries Management Mechanism (ARFMM). Work with ASEAN/ASWGFi to develop common positions/stands on international issues that will have impact on fisheries development and management in ASEAN and SEA region. Work with ASEAN/ASWGFi to help ASEAN in the integration of the fisheries sector (i.e. ASEAN Roadmap). Continue and expand the existing collaborative and cooperation projects/activities under the ASSP-FCG mechanism for capacity building, information collection and exchange, and HR development.